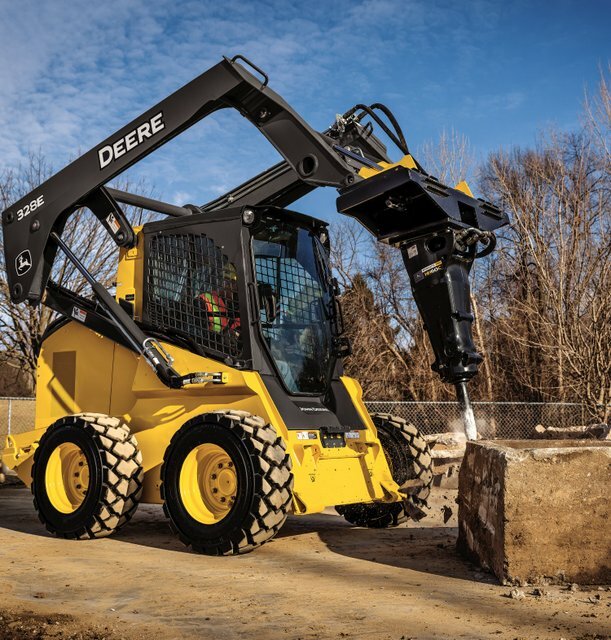 Demolition is more powerful and efficient than ever with the new John Deere Hydraulic Hammer attachments (HH20C, HH40C, HH60C and HH80C) for skid steers, compact track loaders (CTLs) and compact excavators. The new line of hammers is the fastest in its class, and they are more efficient and easier to maintain than previous models. 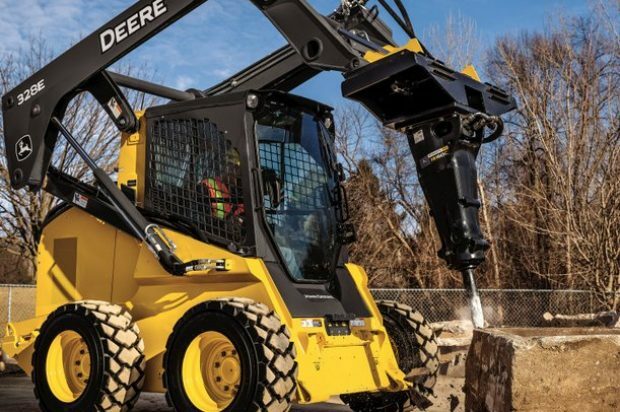 The Hydraulic Hammers are the newest product added to the consistently growing line of Worksite Pro attachments and are optimized to work with select John Deere G- and E-Series skid steers and compact track loaders, G-Series Compact Excavators and most competitive models. For more coverage of John Deere products, just click this link. What are you, chicken?